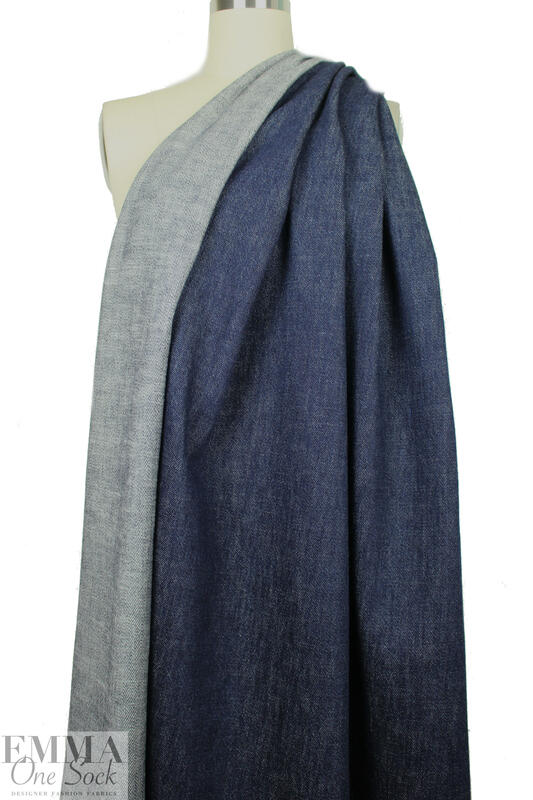 This is a very cool and unusual Japanese denim in the heavier weight range, very dark blue (PANTONE 19-4019-ish), with a textured twill weave and white cross threads. 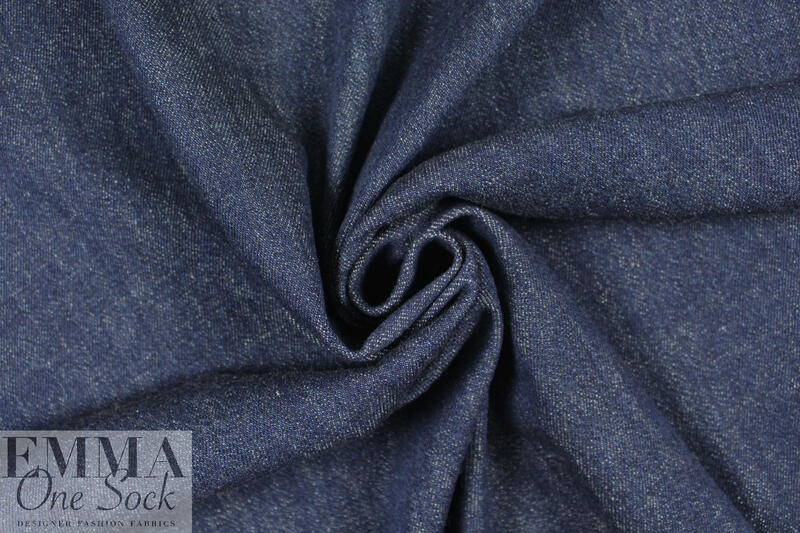 It has just about 10% VERTICAL stretch, and has a washed softness. 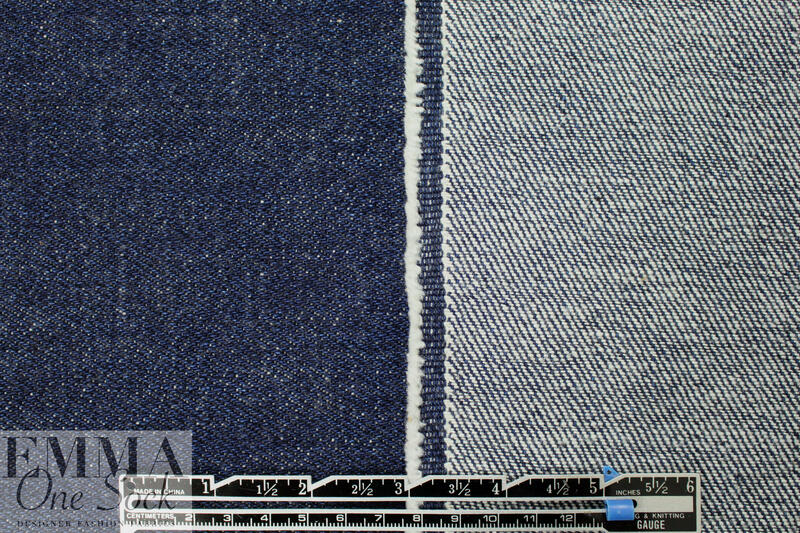 The individual yarns in the denim are relatively thick, so it has more surface texture than usually associated with denim. Cut your garment across the grain if you want a bit of widthwise stretch on your garment. It is perfect for jeans, overalls, jacket, coat, etc. Pre-wash (separately) as you will want to wash your finished garment.